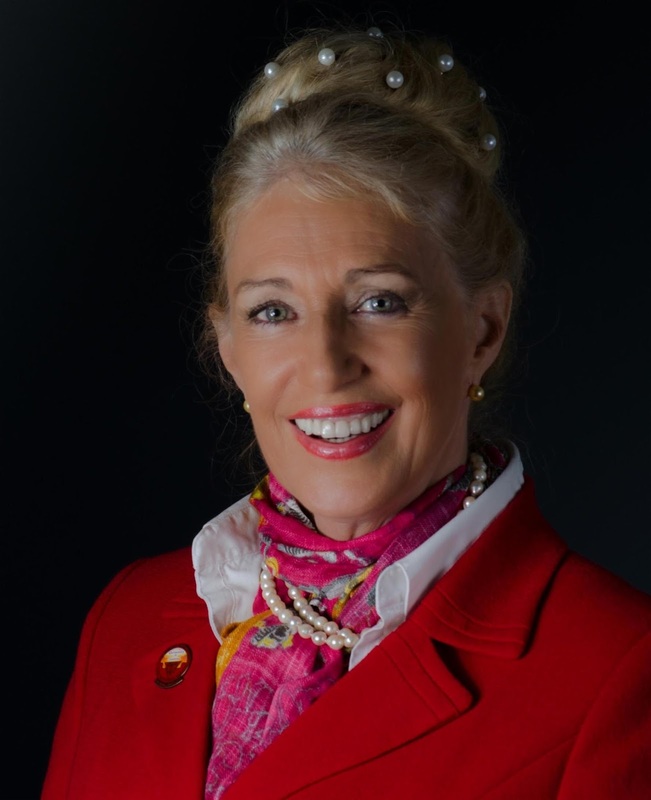 Dr Dene Ballantine will be sharing her extensive knowledge and experience in various different modalities, including the Quantum iNfinity. Please email karen@quantum-life.com with questions or for more info about this webinar! NEW!!! Starting October 1st, 2011, all the products benefit from 3 years (36 months) limited warranty, which includes parts and labour. Free shipping on the first 90 days. The PFG2Z is a radical evolution over our prior signal generation systems and designs with enhanced capabilities and functionality gained largely as a result of private research and advancement in the technology itself. Special user needs, requirements, requests, feedback, desires and investment in a long term modular design now exhibit themselves in the form of the PFG2Z. The first thing one may notice is the exceptional small size. This is largely due to VLSI (Very Large Scale Integration) and surface mount technology. The case itself is a very ergonomic and easy to hold, having light grey, non-slip, rubberized trim for a very clean and classic look. A major effort was undertaken to electronically redesign, removing virtually ALL “heat generating” components effectively allowing for long or continuous run-times desired in some applications. As with the PFG (v1), no mounted control or switches are present or needed; this is performed by intuitive onscreen GUI (Graphical User Interface) controls. While the current PFG (v1) continues to utilize the IEEE 1284 (parallel) interface, this particular port is often being omitted from newer computers as a cost and power savings scheme by many manufacturers, although it remains a laboratory standard for scientific equipment communications. The capabilities of IEEE1284 exceed the needs of most users and we have adjusted accordingly. The capability of USB is quite sufficient for this particular device and adds considerably to the ease of installation and connection for the end user. Maintaining PT’s design philosophy of worldwide interoperability anywhere needed, a multi-voltage (auto switching) power adapter is shipped with the unit. This power unit is only required when using the unit in contact mode for electrode drive circuitry. When using the PFG2Z as a controller for plasma drive signaling circuitry, sufficient power is obtained directly via the powered USB port or powered USB hub. Like its predecessor, the PFG2Z is a true arbitrary waveform generator, allowing for more accurate manipulation, control, and even unique “design” of the waveform itself. Our research has repeatedly indicated this important aspect has a significant impact on effectiveness. Individual waveform characteristics are programmable on an individual frequency basis. As on PT’s PFG (v1), the PFG2Z has 2 distinctly separate signal outputs. The BNC output is suitable for low impedance and calibrated signal levels typical for connection to electronic equipment such as the P3 Plasma Unit. A second smaller output connector is provided for exceptionally high impedance loads such as what one would encounter in contact applications. This latter output is exceptionally higher than the level available in the original PFG (v1). This output level is of course, also programmable on an individual frequency basis. This higher level capability is the result of requirements and desires made by professional practitioners and researchers. PFG Lab (v1) is the latest suite of sequencing control software ideally suited for controlling, maintaining, editing, and archiving large numbers of script libraries for resonant frequency and pulsed plasma research. This next generation system has been originally designed for the PC market, but has already been validated to work on Apple / Macintosh and Linux operating systems using 3rd party software like Parallels Desktop, Codeweavers Crossover, Wine and other. Although all unique uses can never be foreseen, great care has been taken in hardware design to allow for modifications to be made at the software level, increasing ranges, capabilities, and features without the need for physical hardware “upgrades”… but rather by downloadable software updates or specialized/customized versions of the software. The PFG2Z unit is shipped with PFG Lab software and documentation CD, switching power supply, color coded pin-probe electrode cable, 6-10ft electrode extension cable, and multi-use/disposable electrode pads with source for convenient reordering if needed. Special power adapters and custom cable assemblies are available upon request to better interface with your unique applications. Although ironically not required in the USA, Pulsed Technologies has taken great care in our component selection, manufacturing processes and strategic affiliates, to maintain the absolute strict standards for this environmental impact initiative. We believe voluntary compliance is essential for the overall health of this planet. We are proud to say we have been in compliance through our design and planning even long before this initiative became a requirement other places in the world. We can only hope that others realize the importance and likewise do their part to prevent as many hazardous substances from our environment via better selection, planning, and “selective” purchases. The PFG2Z with PFG Lab represents the next generation of specialized signal generation and control for resonant frequency and precision pulsed plasma applications in a truly convenient and portable package. Pulsed Technologies has started the process of obtaining the CE mark in regards to the conformity assesments procedures provided for in Directive 73/23/EEC on electrical equipment designed for use within certain voltage limits. This process has been started for the latest product, PFG2Z. As of June 2010, the new PFG2Z is assembled entirely in Romania (member of European Union). 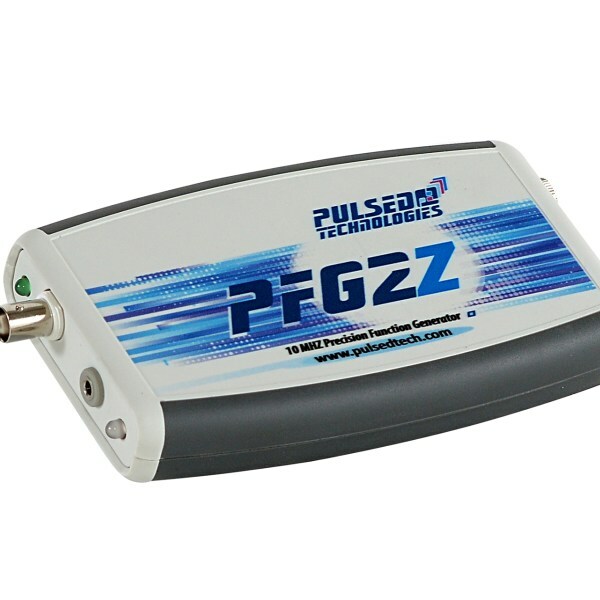 The PFG2Z is excellent device to be used with your computer as a highly configurable contact device and later, as your needs grow, as a precision controller for a more complex plasma device. Operation and software are relatively the same for either. When also considering the software and hardware design concepts incorporated into the unit, the PFG2Z should be considered an ideal investment for both now AND the future! High Impedance Output Voltage: (Pad 3.5mm jack) app. 40 Vpp. During this webinar Andrew will be sharing information with us about the Blue Z Water. Andrew joined us at the Quantum Consciousness Conference in Sedona, where he presented extensive research and the amazing healing capabilities of this product. Blue Z Water is a master cleaning tool for both body, mind and soul. We all are witnessing environmental toxins growing to unprecedented levels. Awhile back, I came to realize, that my existing protocols needed to go the next level to match this environmental onslaught. I went into prayer and meditation asking for “something that would permeate everywhere in the body and grab up toxins as they entered my body.” The very next day I discovered Blue Z Water. What is Blue Z Water? It’s a super concentrated, water based solution of ionic minerals made from a type of crystalline deposit called Biotite also known as Black Mica. The mother concentrate from which this product is made comes from extracting mineral salts from a Biotite deposit. These minerals are then diluted in purified water and bottled as a liquid based water purifier. Black Mica is a mineral miracle and the foundation for the alchemy of Blue Z Water. When activated it transforms toxic water to pristine water. Black mica provides hot springs with it’s sulfur rich healing minerals and is the manna spewing from the deepest volcanic vents at the bottom of the ocean. Black Mica layers are held together by potassium and this concentration of potassium inside the Mica is almost exactly the same as the concentration of potassium in our cells. Further, the negative ion structure of Black Mica is identical to the phosphate group structure of the RNA in our cells. Our DNA structure is identical to the molecular structure of Black Mica. Black Mica has been called “Mineral Sunlight” by scientists as they discovered that Black Mica vibrates at the exact same frequency as sunlight, which explains why sea life survives at the deepest part of the ocean. It vibrates at 10,000 vibrations per second – the same frequency at which cellular life thrives. Provides comprehensive detoxification due to conversion of water molecules to activated oxygen. This becomes a 24/7 circulating filtration system capable of removing virtually every form of toxin from your body. Transforms ordinary water into structured water creating superior hydration. This is called the fourth phase of water also known as H3O2. Supplies foundational nutrition by furnishing essential trace minerals in superior ionic form. In essence, he was able to convert ordinary oxygen in standing water into activated oxygen. This activated oxygen becomes the key component for cleaning the toxins contained within the water. Then the minerals facilitate the removal of all by-products of the cleaning process (agglutination). Finally, this super mineral solution provides essential nutrients for soil, plants, humans and animals. Please click on this link for a short interview with the inventor of this miracle water solution, Dr. Asao Shimanishi. Please click here for a free 80 page e-book by Dr. Hisatake Nojima, M.D. Gerald Pollack and his team of researchers from the University of Washington are considered the leading scientific experts in structured water. There is a vast array of information on structured water. A good place to start is here. Please email Karen: info@quantum-life.com with info about what you would like to promote! About Dr Denny Thompson During this webinar, Dr Denny will share his vast experience and 'magic' with healing relationships, with ourselves and others. Dr. Denny Thompson is a chiropractor, a holistic philosopher, practicing acupuncture and Ayurvedic Medicine practitioner. He has been in practice for almost 30 years. Dr. Denny’s post-graduate studies include Applied Kinesiology, Clinical Kinesiology, energy psychology, Enneagram training, sports medicine. Dr. Denny is an author of 3 books. “Ayurvedic Zone Diet”, “The Twelve Ways of Love”, and a mystic relationship novel “Natural Love”. His next work is “Relationship Medicine” soon to be published. He also has a Music degree and is a jazz guitarist. In practice Dr. Denny has worked with all manner of patient complaints and conditions including putting together a two week healing program for cancer patients called Holistic Healing Intensive: Rest and Repair. His main interest though has been in the field of relationships and he has studied in depth the effect dysfunctional relationships can have on our body that ends up creating our illness. From this insight he developed the philosophy behind Mind Body Relationship Medicine. He added the word Relationship to the popular idea of mind/body medicine because relationships are the universal stress factor in everyone’s life. After several years of practicing holistic medicine as a chiropractor, he came to the conclusion that one of the most important yet overlooked factors in a person’s illness was their relationships. Good relationship can nurture you while bad relationships can create havoc to your life and especially to your health. Some trauma practitioners tried to address the emotional component of illness with varying techniques and that was helpful, but there remained a hole in approach. Please email karen@quantum-life.com with information about what you would like to share or just request to be unmuted on the webinar and share spontaneously! The ORBIE BIO-TWINS have the most delicious sensations and feelings. These FEELINGS are experienced throughout the body and the brain. These SENSATIONS are produced by the STIMULATION of the specific vibrational frequencies. Resultant sensations are the response of the body, brain and energy fields. THE BIO-TWINS FEEL WONERFUL, DELIGHTFUL AND DELICIOUS!! THE ENTIRE KIT COMES WITH :1 SET OF BIO-TWINS AND 2 CDS mp3 FILES One Cd with 12 situation specific mp3s and the second Cd is a 45 minute audio instruction. Each specific mp3 is 4 minutes in length. They are designed to be played on auto repeat, or continuous play. An individual session is considered to be a duration of 20 minutes . Yet there are excellent results with less then and even as much as 1 or 2 hours. I invite you to join me here for few minutes as I share with you my adventure with the creation and development of ORBIE the Bio-Twins. This creation is a very simple and easy to use device. You know the people who are attracted to The Bio-Twins appreciate that it is not complex to use in any way. And still amazingly effective. You just plug the cable into your audio player. Turn on the selected audio program from those provided with the kit and hold the hand modules in each hand, sit back and experience the silent delivery system that infuses into your physical and energy bodies the vibratory frequencies that match your desired results. THE BIO-TWINS ALWAY FEEL WONERFUL, DELIGHTFUL AND DELICIOUS!! In this case we will be working with a program designed as the result of over 20 years of practical hands on research and development and real life application with clients. REALITY SCULPTING This program is designed to cause the physical body to restore the youthful tendencies of the body systems and function to maintain and supportthe slim, lean, healthy, robust regenerative profile of our early years. Therefore This Weight Loss and Regeneration Protocol, must by it’s very nature activate over all robust health, vigor and positive emotional interaction with all the areas of life. To do all this I discovered an effective approach to impacting all the systems, functions and full brain integration that naturally are already designed at essence For all of us to do just this. By creating these Audio Apothecary audio files I have made use of cutting edge computer and audio technology to discover and translate the needed results to produce this ultimate Weight loss and Regenerative effects I focused only on the outcomes I observed only the actual results and not theory or scientific guesswork justconsitant effective results. This technology of combining the Silent Delivery System of ORBIE The Bio-Twins ( the be clear there is no audible sound produced at all only non audible vibration) Combining ORBIE with the Frequency Specific Protocols of the Audio Apothecary has some profoundly effective and broad spectrum impacts on the entire body brain reality of people in general. Energy to stay strong and consistent in your daily tasks! Detoxify and restore clarity of focus. DURING THESE INTENSE CHALLENGING TIME! without effort or frustration or former limitations of the past. For instance to produce the extensive level regenerative function of the entire body. It is necessary to activate full organ and body system functionality to prepare the body for and support the continual functionality of for instance the entire lymph system. By identifying in detail the various components and aspects of the lymph system when at its healthiest regeneration supporting levels. We have studied and discovered the actual messages that need to be sent to the entire lymph system to produce the needed results. We then translate these required messages into pure digital frequency through the computer translation into it’s specific unique signature profile. By taking these Unique Specific Signature Profile Audio Apothecary translations and then transmitting these silently to the ears but not silently to the energy fields, meridians, or nervous system of the body which then act as conduits of information to effect simultaneously the organs,systems, from the cells to the molecular level and to the level of your quantum particles. Vibration and signatures frequency by it’s own nature can effect and restore or recreate functions and desired results when infused into the fields in a way that by passes any interferences that can inhibit the assimilation of supplemental nutrition for instance. We can now speak directly to the body and all of it components through non verbal, non auditory signals and messages that literally cause the rearrangement of the previous signal messages that have been in place which cause degeneration and weight gain especially as you get older. The simplicity and functionality are designed to make This system extremely user friendly. Sit any where and hold the ORBIE hand modules in each hand and allow the vibrations to speak directly with your cells, by passing emotional , mental, and physical blocks and interferences. Experience benefits from the very first session. This is not to say you will notice immediate changes in body size or weight. But because it is required to bring the entire physical system into coordination and full healthy function to produce the desired weight loss outcomes . We have observed and experienced that people experience feeling changed in some positive way from the very first session . Reporting, uplifted attitudes, positive energy impact freeing of negative emotional states and so much more. That during the use of ORBIE for 20 minutes a day or as much as you enjoy. there are no contraindications. there are no magnetic or electromagnetic inteferences to be concerned with. In short ORBIE Bio-Twins are simple easy to use and fun to enjoy as you effortlessly regenerate and support your restored youthful figure and body and actually effect positively your whole life starting from your first moments with ORBIE in your hands. THE BIO-TWINS ALWAYS FEEL WONERFUL, DELIGHTFUL AND DELICIOUS!! Now through the amazing developments in technology and consciousness over the past 12 years the ORBIE Bio-Twins go even further into assisting you in keeping your physical body strong, your emotions stable, your mind clear and inspired and your spirit reaching for the truth of the stars. REALITY SCULPTING is the description Given to the process of utilizing frequency as non audible vibratory impacts and results to recreate the experience of living.It is commonly Known that our reality is not physical in nature at all. It follows as well that the outcomes in our life are also essentially vibratory action in truth. When you use the Bio-Twins you are presenting a strongly focused intention of desired results to initially remove the previous unwanted results. and info on free trainings , email courses.